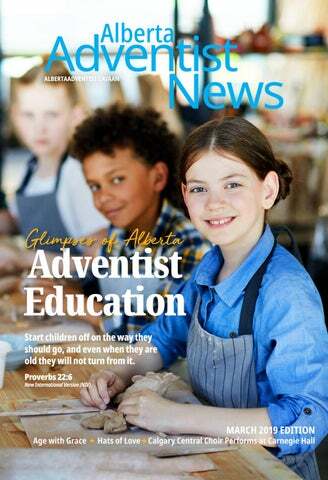 Adventist Education Start children off on the way they should go, and even when they are old they will not turn from it. 1 The New King James Version. (1982). (Mt 13:44). Nashville: Thomas Nelson. house up for sale. He sells the furniture, as well as his horse and cart. He borrows from his neighbours. He does all that he can until he finally has the funds that he needs; then he goes out and buys the field and claims his treasure. This parable illustrates the value of the kingdom of God. Jesus is really the treasure of great price. Like the man in the parable, we must be willing to give up everything in order to acquire a saving relationship with Jesus. For the LORD gives wisdom; from his mouth come knowledge and understanding” 15 men whose paths are crooked, and who are devious in their ways. 16 So you will be delivered from the forbidden woman, from the adulteress with her smooth words, 17 who forsakes the companion of her youth and forgets the covenant of her God; 18 for her house sinks down to death, and her paths to the departed; 19 none who go to her come back, nor do they regain the paths of life. 20 So you will walk in the way of the good and keep to the paths of the righteous. 21 For the upright will inhabit the land, and those with integrity will remain in it, 22 but the wicked will be cut off from the land, and the treacherous will be rooted out of it. The Holy Bible: English Standard Version. (2016). (Pr 2:1–22). Wheaton, IL: Crossway Bibles. January Pastors' Meeting with the theme of “The Word of God: A Sure Foundation” was a tremendous blessing. We especially enjoyed having the principals from our schools join us for the first time during my tenure. Gary Hodder, Conference President, updated the pastors and principals on how the Conference is doing with its mission of reaching people for Jesus, as well as pastoral additions and reassignments. Vice President for Administration, Wayne Williams, reported on the statistics of membership growth and several updated conference policies. Chief Financial Officer, Keith Richter, as always, had the attention of everyone when he shared the Conference financial report. These reports help us better understand how God is leading His Church in Alberta. We were also privileged to have Dr. Bruce Boyd from Burman University share valuable lessons and skills pertaining to conflict resolution. To crown it all, we were treated to a sumptuous supper courtesy of Burman University. The 2019 pastors' meeting was a blessing, and many pastors shared how much they appreciated being present. We give all the praise and thanks to God, who deserves it for the wonderful love and grace He showers upon us. “…I will not leave you nor forsake you” (Deuteronomy 31:6); “ …I have called you by name, you are mine.”( Isaiah 43:1) — Submitted by George Ali, George Ali Ministerial/Evangelism Director/ Church Planting Coordinator Photos contributed. More details will follow in your church bulletin and/or by email to those on our SAGE database, including registration forms for 50+ SAGErs! Alberta Conference Youth Department Pastor Scott, at Youth Teen Rally 2018. NAD Delegation at Global Youth Leadership Convention. Charis Village development was designed considering all the challenges that our aging population is finding along the way. This assisted living building was created for the elderly to have an honourable space, not just a bed. Above: Two housing options for independent living with luxury finishes to ensure a comfortable living to age with grace. of loving, nurturing, and educating them. Thank you for your continued prayers for this important ministry. May God bless each of us as we move forward in “love, the basis of creation and of redemption… the basis of true education.” (E.G. White, Education, pg. 16). Lacey and Tine making posters to prepare for the Father’s Day bake sale at the park. A visit to The Mustard Seed. Medicine Hat Christian School students. n a bluff overlooking the river valley where downtown Medicine Hat is located sits the small community of Veinerville. Once known as Veinerville Christian Academy, Higher Ground Christian School is now a thriving small community of learners ranging from kindergarten to grade seven. The two classrooms are busy places, where students who have immigrated from all over the world now come to learn. Yes, we are a very diverse group with unique languages and cultures to share and celebrate. This year we have also been celebrating how each one of us are a piece of God’s plan. Like a puzzle, we all have a part to play as we work together to spread the love of Jesus to others around us. Each morning begins with a worship — some days as a whole school and others in the individual classrooms. Next students experience and study the Bible using the Encounter Bible curriculum where the major theme of salvation is presented while stories from the Old and New Testaments are not just learned, but experienced and internalized. We also work together to learn and grow academically. Learning can be fun and exciting, yet a challenging experience as we incorporate Top photo by Jessica Heroux; other contributed. Rachel, a grade 5 student sharing her craft during assembly. Meghan, a grade 5 student, sharing her talent during assembly. Victoria, a grade 1 student, sharing her talent during assembly. LindiRaye, a grade 11 student, sharing her artwork during assembly. PACeS: Flexible Alwande, grade 3, playing his violin for PACes assembly. Artwork by Ruby, grade 7. The older and younger students building a snow fort together. Learning how to skate on our ice rink, thanks to volunteers from the church family like Glen Holly. year the students spread kindness by baking cookies for people at church. For many years the students have participated in the province’s highway cleanup initiative. Sylvan Meadows Adventist School S A Sylvan Meadows Bible class student learning how God sifts the whole world to find us and put us back together. I love South Side Christian School because we have friends and we are like a family.” serve Jesus by serving others in the community. All students have the opportunity to visit senior residents at Timberstone Mews each month. It is a time shared together uplifting God in music, playing games, and fellowshipping together. The students have also been writing letters to seniors, and are always very excited when they receive a reply from their pen pals. Student life at South Side Christian School. Students enjoying skating and other activities together. Clockwise: The new kitchen in use; CHCS special hair day; Elementary School nearing completion, 1947. Church. CHCS is a fully accredited education facility, registered with the Government of Alberta as a “Level 2 Private School” authorized to offer the ECS, elementary and junior high programs of study. The school mission, “To nurture, educate and equip students to impact their world for Jesus” is the central focus when one enters the school. CHCS intentionally focuses on its mission through more than thirty outreach activities each year. One such outreach is the annual Seniors’ Program and Luncheon in early December. This program provides opportunity for the students to show appreciation to their great aunts & uncles, great grandparents and many additional seniors within the constituency church. The special day begins with many of the students providing renditions of seasonal songs and skits followed by a lunch of various soups, sandwiches and sweets which are coordinated by the Home & School. Elementary student with Chromebook at Mamawi Atosketan Native School. Ventriloquists Paul and Mateus Antunes. CHURCH NEWS Brian and Cohen Corkum showing the watermelon Nailed it! Judges for the Health Kitchen contest. Sean Todd making a review of the available vegetables for the challenge. Recently I read a post on an Adventist site on Facebook. The post was by a new Adventist who was wondering if she had to give up her hobbies to become an Adventist. Fletcher Schafer wearing one of his greatgrandmother’s hats. Hailee & Brooklyn Schafer, looking adorable in their great-grandmother’s hats. found out that her hats could be used in the mission fields. Florence would knit to her hearts content, filling box after box. Edgar would then drive them up to Lacombe to be shipped off in the containers to wherever they were needed. The volunteers would then give them to children in need. Her hats have been sent to Kenya, Rwanda, Tanzania, and Bolivia. The smaller hats have been sent to Adventist medical clinics and given to mothers for their newborn babies. According to Julie Stegmaier, Director of Operations, the mothers are always very grateful for this gift. Their generosity has not ended there. She has also given hats to the children at our local Adventist school, Higher Ground Christian School, for many years. A lot of our children come from refugee families from Nepal, the Philippines, and other East Asian countries. Jennifer showing off the fashionable hat that Florence made for her. On December 8, 2018, Magnus Sveen was dedicated to the Lord by his parents Chris and Alaina. His sisters Addison and Lexi, as well as other family members, joined as they celebrated the occasion. On November 17, Tobi Lemke was baptized by Pastor Bill Spangler and joined the Sylvan Lake Church. Ragner Mannerfeldt presented a handmade prayer box to The Sylvan Lake Church's Prayer Ministries Coordinator, Annabelle Bell. Ragner has been a member of the church for decades and still finds ways to love and support his church family. Pastor Grifﬁn served as the Youth Director of South Central Conference for 10 years and President of BAYDA (Black Adventist Youth Director Association) for 7 years. He also served as the Director of Sabbath School/Personal Ministry and Prison Ministry of South Central Conference. Currently, Pastor Grifﬁn serves as the Associate Youth/Young Adult Director of the North American Division — Columbia, MD. He covets the prayers of the saints in this new assignment. Recent renovations were completed at the Warburg Church, including insulation, drywall, and additional décor. The Wetaskiwin Church's Peace Hills Adventurer Club was officially welcomed into the sisterhood of Clubs in the Alberta Conference during the Induction Service on November 24, 2018. Warburg renovation pictures by Randy Comm; New Adventurers photo by D’Arcy Simanton. Photos by Dan Wright Photography/DCINY Productions. Lloydminster Adventist Church family members preparing care packages. All churches across the City of Edmonton and the surroundings areas were closed during this weekend so that members could attend and participate in the unity rally. On Friday, January 11, the program was held at the Edmonton Filipino SDA Church. The program for this evening included powerful song ministration and a very inspirational message from the guest speaker, Dr.
Pastor Chris Holland sharing God's message at IMPACT 2020, January 2019. A peek inside the donated storage room for the Healthy Babies Program. Gracie receiving cash refund from the bottle depot and shopping for baby products. Product delivered at Cold Lake Community Health Services. Product delivered at Bonnyville Community Health Services. Pastor Corbel before baptism of Michael Santiago. Pastor Corbel and Lauren before immersion. Pastor Corbel and Ed Beaudoin. To view the live-streamed event, scan this QR code with your mobile device or visit the weblink below. arion Selena (Jones) Evans was born August 28, 1928 in Kinistino, Saskatchewan and passed to her rest January 17, 2019 in Sundre, AB at the age of 90 years old. Marion’s father, Harvey Jones, passed away when she was eight years old, and she, along with her siblings and mother, stayed on her grandparents' farm. Marion completed grade 10 at the Derby School and then finished grade 12 in Nipawin. While in Nipawin, Marion met Mr. Beverly Evans, and the two married July 3, 1946. They were married for 67 years. Three children were born to the couple: Marilyn, Brian, and Kathy. During their earlier years, the family lived in Nipawin, SK, Torch River, SK, Prince Albert, SK, McBride, BC, Lacombe, AB, and finally in 1973, settled permanently in Sundre, AB. Although moves were initially frequent, Marion’s husband, children, and later grandchildren and greatgrandchildren were always her priority. Every house converted into a comfortable home, and Marion became the structure and moral support for the entire family, never missing milestone events like birthdays, graduations, anniversaries, etc. Besides her family, Marion became known for her extraordinary kindness in the community. She would visit in the hospital, bringing encouragement and cheer, and her friendship was extended to the entire community as well. She was also a faithful member of the Olds Seventh-day Adventist Church. Marion was predeceased by her parents, Harvey and Vera Jones, husband Beverly Evans, brother Gordon Jones, and sister Beryl Cherepuschak. She is survived by her three children, daughter Marilyn (Bryan) Bodrug of Calgary, son Brian (Terri) Evans of Sundre, and daughter Kathy (Kevin) Akre of Cochrane, brothers Blair and Vernon Jones, eight grandchildren, and 23 great-grandchildren, nieces, and nephews. uwain Isaac Werner was born March 27, 1935 at Fox Valley, Saskatchewan. He passed away December 29, 2018 at College Place, Washington. He moved to Lacombe, AB in 1951 with his parents so that he could attend high school at Canadian Union College. 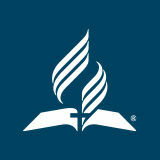 He was a born salesperson, selling a variety of items, and as a literature evangelist, Adventist Christian books. He loved animals, especially horses. His passion in life was to encourage people in their spiritual walk. He was always ready to lend a helping hand to someone in need. Eight years ago, Duwain’s health began to fail. It was his desire to live closer to his daughters in Washington State. In June, 2011, that was made possible so he moved to College Place Washing near Walla Walla, Washington. Duwain was predeceased by an older brother, Gordon, who died in infancy, his mother Lydia Werner, and father Isaac Werner. He is survived by three daughters, Té Werner (Alan) of Kennewick, Wa, Brenda Trapani of Walla Walla, Wa., Connie Werner (Rick) and former son-in-law Stephen Trapani of Walla Walla, Wa. Duwain is also survived by two sisters, Mabel Spenst and Vera (Ken) Wiebe, both of Lacombe, AB. Duwain had four grandsons, Paul (Hillary) Trapani, Dylan Trapani, and Cody and Joshua Kowalski. He had one niece and three nephews, many cousins, and a host of friends. A memorial service will be held at a later date in Lacombe. Register before May 31 and receive a FREE CAMP GIFT. s Canadians, we’re used to many cultures co-existing together, but not all parts of the church are working together culturally. To work together, we need to understand the perspective of others and appreciate their strengths. To this end, the North American Division created the 2019 Ministries Convention in Albuquerque, New Mexico centred on the theme “Stronger United: Many Voices, One Vision.” The convention’s philanthropy panel presentation included a focus on how First Nations cultures practice philanthropy — through the lens of Mamawi Atosketan Native School and the Bridge Campaign, 25% of which was funded by First Nations people. While preparing my part (First Nations giving) for the NAD philanthropy panel presentation, I realized that we have been most successful at MANS when we reinforce the positive attitudes and practices inherent in First Nations culture. 1. Celebrate abilities and individual acts of compassion. In First Nations communities, acts of compassion and sharing are an everyday occurrence. These traits are valued and encouraged. Gifts are a blessing to be shared. Because gifts are not a possession to be horded, a single gift may take on a life of its own, changing hands many times, depending on need or just to bring joy. It’s an honour to be able to give and to share, so a kind of “gift in motion” philosophy facilitates personal generosity and minimizes stigma for the recipient, who will likely be in a position to give to someone else in another situation. Relationships are paramount. People and the connections between them are more important than money. Charity begins at home. Giving directly is the preferred way to engage in charity, and giving to someone in need with an identifiable connection to you is the first obligation. MEANS & MEANING First Nations businessman Larry Wilkins, the top donor of the Bridge Campaign to build MANS high school, receives a gift from beadwork artist and MANS alumnae Krista Abt (Class of 2017), who is now a student at Red Deer College. DID YOU KNOW? Chief Vernon Saddleback, Samson Cree Nation, sent his son to MANS. Watch the chief’s 3-plusminute Grand Opening speech at Vimeo.com/ albertaadventist for an example of how deeply First Nations people value relationships and gratitude. Kindness is a virtue and gratitude runs deep. Chief Vernon Saddleback demonstrated this when he risked his political career to attend the MANS High School opening. For the chief, bringing official greetings and a personal thanks for what MANS did for his son ranked higher in priority than an important political appearance in Edmonton. The relationship forged as MANS teachers helped the chief raise his son to be a spiritual person is still strong (see #3). As the chief spoke at the opening, I realized that his high regard for what MANS has done for the children of his community is a gift in itself. These traditional First Nations values are something that we as Adventist Christians can get behind — and maybe learn to practice better. The book of Matthew has several parables that speak concerning the nature of the Kingdom of God. Some parables speak about the Kingdom being within people’s hearts. Some parables speak about the Kingdom as something yet to come. Yet others speak of who will make up the Kingdom of God. 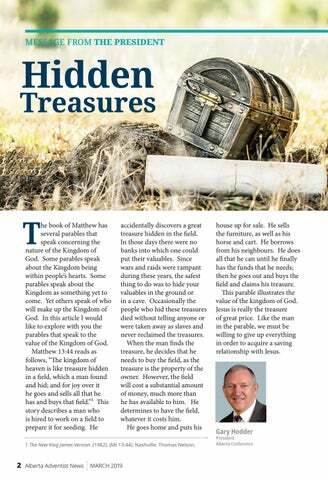 In this article I would like to explore with you the parables that speak to the value of the Kingdom of God.